Our Hotel Gasthof Huber is the epitome of a country inn. We’re located right in the centre of Mühlbach, above Gais, and have always been a meeting place for young and old in the village community. 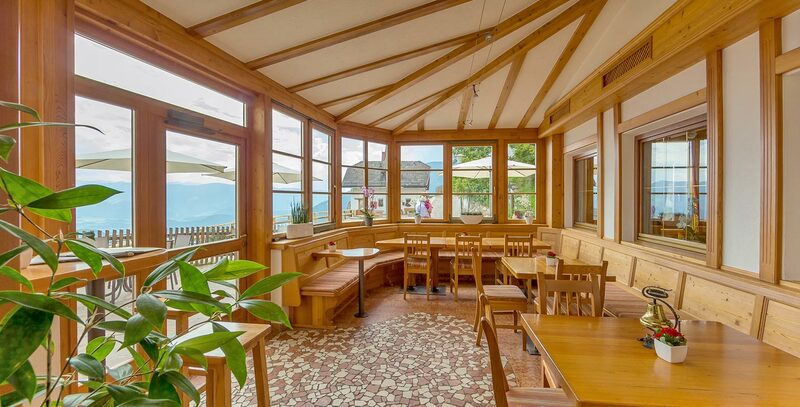 All year round, our bar is open for guests and locals. Every Sunday, locals meet after church in Hotel Gasthof Huber for a round of “Watter” (a South Tyrolean card game) and a glass of fine wine. Hostess Annelies hovers around the bar, ready to listen to anyone and everyone. After your evening meal, enjoy one of our coffee specialities or try one of our numerous home-made liquors – we’ll be delighted to help you choose! South Tyrol enjoys around 300 days of sunshine every year. Our spacious sun deck is the perfect place to soak up the sun. 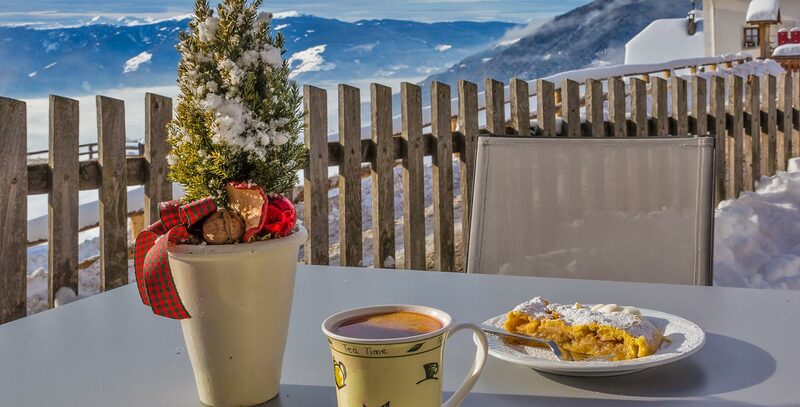 At an altitude of 1500m above sea level, you can inhale the clear mountain air and enjoy the almost endless panorama views over the surrounding summits. Soak up the sun’s energy, and allow your gaze to wander over the Kronplatz, on past Peitlerkofel and finally settle on Plose Mountain. On our sun deck, you can enjoy far more than just the fresh air and the fabulous views – try one of our many cake specialities, baked fresh every day by our junior chef Hannes! All you need now is a creamy cappuccino – and time stands still for a few blissful moments. The lawn in front of Hotel Gasthof Huber doubles as an excellent viewing platform. If you’re bold enough to walk right down to the edge, you can admire the entire valley basin of Bruneck at your feet. Yes, life really is good when you can enjoy a front seat in the sun! If you’re hosting a special event, whether large or small, you can bring your guests to this lawn in summer to enjoy a small aperitif outdoors. But before we rave on any more about our sun deck, take a look at the impressive mountain panorama for yourself – via our webcam!